I can't believe were already in day 4 of this months prompt! This week has been seriously flying by and look forward in next months prompt. Today hasn't been much of an interesting day, however I got some mail being an adorable unicorn pin! I have no idea what I'm going to do with it, but it's firkin adorable! If anyone know's a little bit about me, it's my undying love for anything unicorn related! For today's colour contrast mani I went with white/black, as its the most high contrast combo on the spectrum. 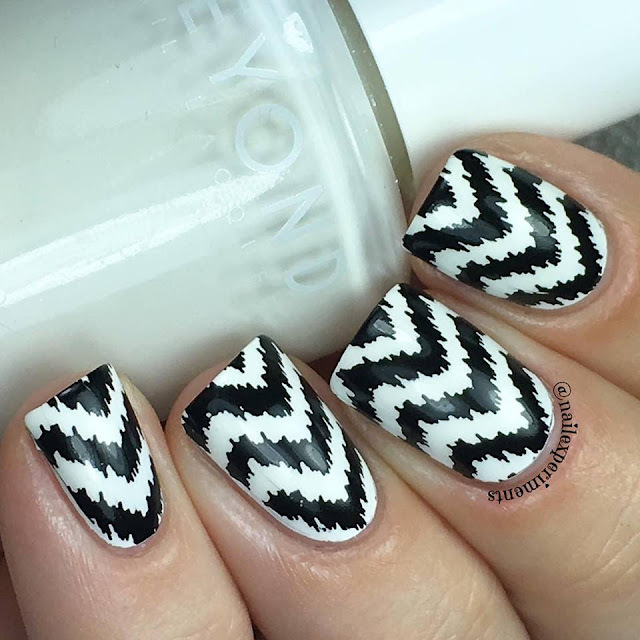 I'm really digging this distressed chevron stamp as well, so cute! Don't forget to check down below all the other gals at Digital Dozen for their renditions of colour contrast manis! 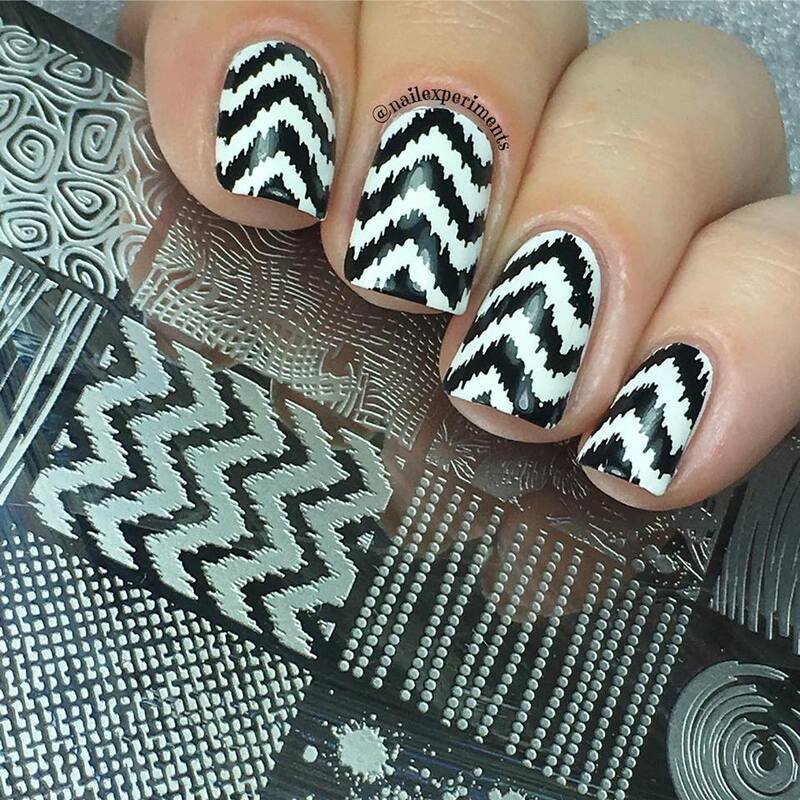 I really like that stamping image, and your stamping is flawless! Thanks! I feel an image like this would be easy to do free hand because it's all about being imperfect. I really want to try this free hand soon! Your stamping is perfect! I adore this black and white look! Thanks! Black and white is definitely a classic! Such crisp stamping! 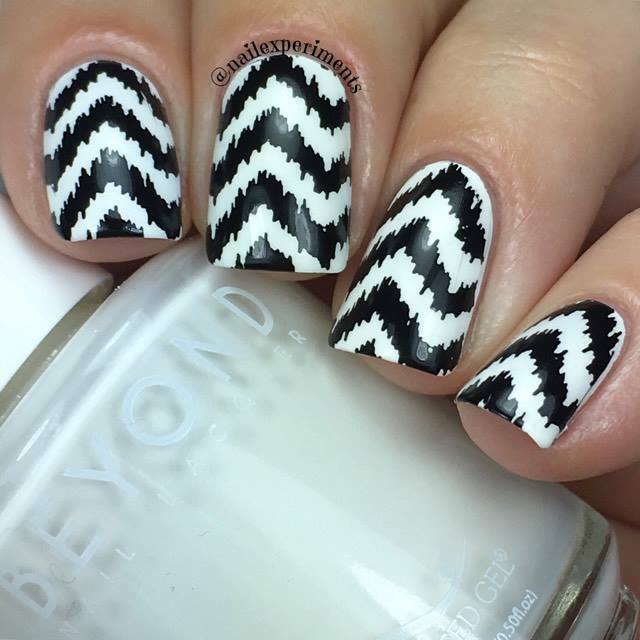 I love black and white manis! Classic! Such crisp line! :) Love it!!! 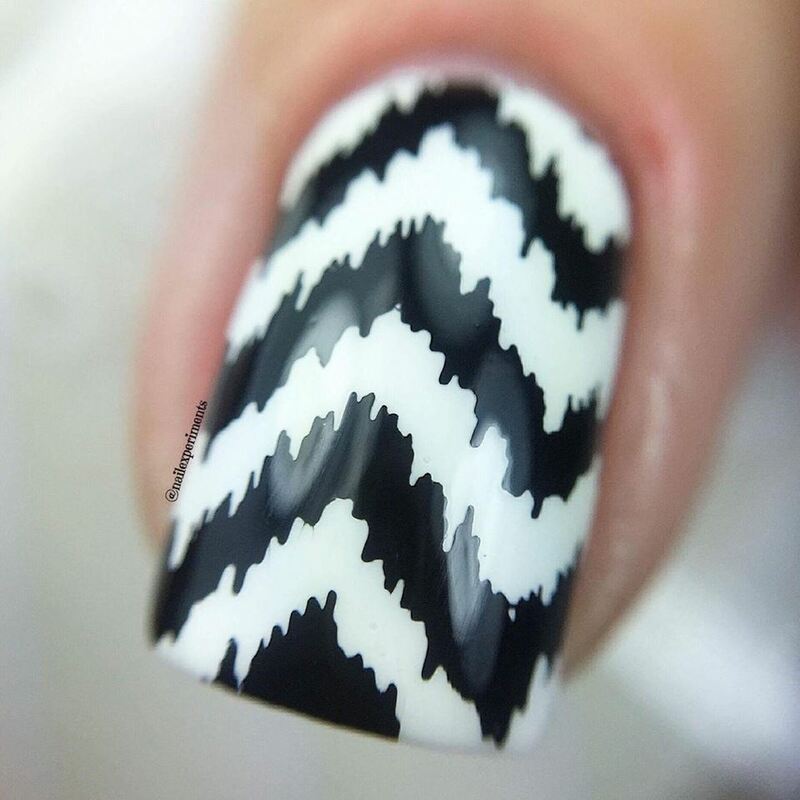 You can't ever go wrong with a black and white mani!! I absolutely adore this, it's perfect!